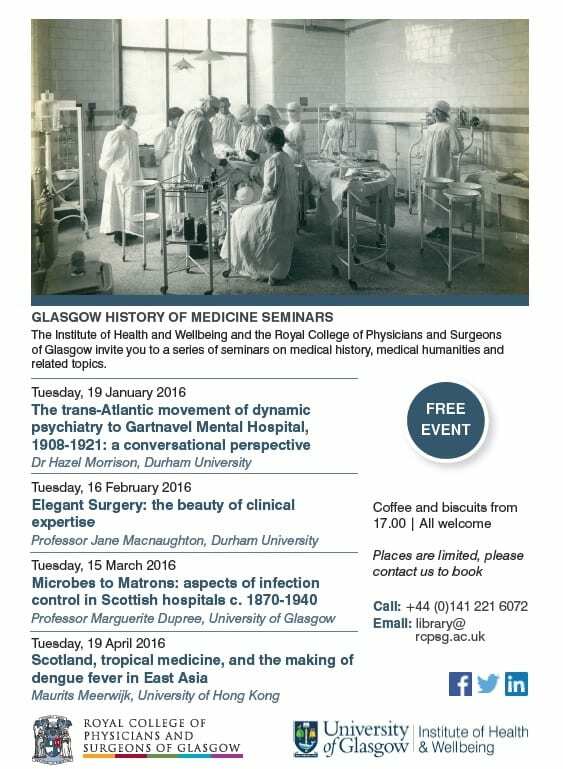 The Centre for the History of Medicine (part of the Institute of Health and Wellbeing at Glasgow University) and the Royal College of Physicians and Surgeons of Glasgow invite you to a series of free seminars on medical history, medical humanities and related topics – Hope you can join us! 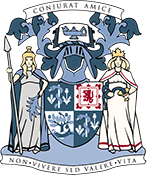 Meetings take place at 5:30pm in the library at the Royal College of Physicians and Surgeons of Glasgow (tea and coffee from 5pm). It’s free to attend but please book (library@rcpsg.ac.uk or call 0141 227 3234).